“King of Cute” may not be the most fortunate nickname for a male teenager but it’s a very big compliment if it’s referring to how appealing your character animation is. Many have been called this title but no one has relished it or been truer than in than David Pruiksma, whose charm and appeal was prevalent among the Disney films for over 20 years. That “King of Cute” is the one we’re hear to talk about today and he’s made it on as number 24 on our countdown. 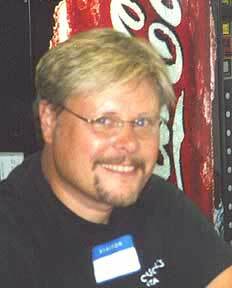 David Pruiksma was born on January 15, 1957 in northern Virginia, just a few miles from Washington D.C. Cartoons had a big impact on him at a young age and the turning point was when in 1964 he saw Alice in Wonderland on television. Since most people Pruiksma’s age were more used to limited television animation the quality and artistry of a Disney film were something really breathtaking. “I remember turning to my parents and saying ‘That’s what I want to do,” remembers the animator. “I didn’t even really know what that was but I knew I wanted to make animated films. Films like Cinderella, Alice, Peter Pan, Lady and the Tramp, Sleeping Beauty, and One Hundred and One Dalmatians are, to me, the finest animated films ever made, on ever level and, in my opinion, are still unsurpassed by any animated film made after them.” However, Dave felt that Disney was out of his reach and focused more on Hanna-Barbara as an eventual employer. He noticed the difference in quality and saw the later as more realistic. After high school Pruiksma was accepted into the elite Pratt Institute, who at the time had later animation great Eric Goldberg as a student. At Pratt Dave learned the fundamentals of fine art and really improved as an artist but still didn’t feel he was getting what he needed to be an animator professional. So in 1979 he moved out west and attended the California Institute of Art for two years, where he learned from animation masters such as T. Hee and Ken O’Connor. I recommend going to his website and checking out his Calarts film, which is one of the best student films I’ve ever seen from the school. In 1981 David Pruiksma was one of a handful of people who entered the training program at Disney under the wing of the great Eric Larson. Among others who entered at the same time were honoree Kathy Zielinski and Tony Anslemo, a clean-up artist and present voice of Donald Duck. 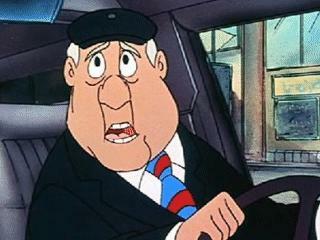 Pruiksma’s first animation was as an assistant under Ed Gombert on Ratty and Moley in Mickey’s Christmas Carol. 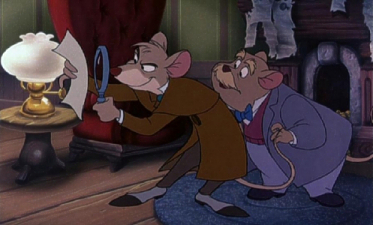 On Basil of Baker Street (Great Mouse Detective), where under Mark Henn (who actually is about 18 months younger than Dave) he animated scenes of Basil and Dawson. 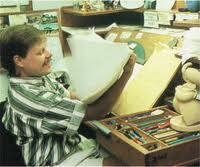 “Mark taught me much of what it meant to be a Disney animator,” says Pruiksma of the animator. “I remember he would always pull me back and pull me back and hammer me into the subtlety in animation. It was frustrating at times but ultimately very rewarding as I started out.” Dave then went on to animate on Oliver and Company, where he animated many scenes on Oliver, Jenny, Winston, some of Georgette, and a few of Tito. I particularly love the scene he animated at the end of Good Company where Winston smiles at Jenny and Oliver sleeping while he turns off the light. It’s really a nice touch and brings real warmth to the scene. For Mermaid, the next film, David Pruiksma was put under the wing of Barry Temple as an animator on Flounder the fish(he did almost all the scenes Temple didn’t do.) His big scene in the movie was animating the fish in Part of Your World. Dave also supervised the animation and did all the scenes of the seahorse messenger in the film, which he was very involved in. “I was not only able to design and animate the character but also make color suggestions,” he reflects on the assignment. After having a stint on Cranium Command (a short for Epcot) Pruiksma animated the mice in the Rescuers Down Under, particularly in the excellent proposal scene in the outback. His first time as a supervising animator was on Mrs. Potts and Chip in Beauty and the Beast. “I remember thinking, from day one on this film, that it was really special,” fondly remembers Dave on the assignment. “I did some preliminary work on Potts and then went on a two week vacation in Hawaii. Yet, I remember, as much as I love Hawaii, that I could not wait to get back and start animating again on Mrs. Potts!” Pruiksma’s next assignment was the Sultan in Aladdin, who coincidentally is shaped quite a bit like a teapot. When two production units began at Disney to reduce the stress and overwork at the time he picked Pocahontas over an assignment on Lion King, although toward the end of the latter production he contributed some scenes of Pumbaa (particularly the hula scene.) On Pocahontas Dave not only supervised Flit but also animated a lot of the forest critters and did some storyboard work. Originally David Pruiksma was supposed to move on to Hercules but after Tony Bancroft left Hunchback to direct Mulan a supervising animator was desperately needed on the gargoyles Hugh and Victor. 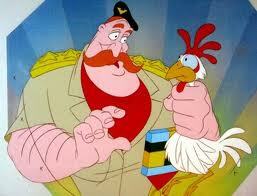 This left the animator with two major characters to do with very little time. “At any rate, the lure of these two inspired characters (good friend Will Finn collaborated with me and did the Laverne gargoyle with his own unit while I did the other two) pulled me away from Hercules and I hit the ground running on The Hunchback of Notre Dame, having only a scant eight months to do a hell of a lot of animation of these two prominent characters,” he reflects on the production. “And in that eight months, though exhausted, I had a ball. These were two unique characters that I could really sink my teeth into. More like broad 1940s style characters than classic Disney, they lent themselves to all kinds of outrageous humor and expression. Personally, I think these characters are the ones with which I was able to do the best animation of my career. In fact, I remember for the first time being able to watch my animation and see characters and not just drawings and mistakes. That was the biggest thrill of my career and that is why I am so attached to those two characters, carved in stone.” Instead of going on to take a character on Tarzan Dave took a year off from feature animation to do various things for the company. He then went on to do some designs for a llama he was going to supervise in the Kingdom of the Sun but the production went on hault and he went on to supervise Harcourt and Packard in Atlantis(his Disney swansong although only he knew it) instead of returning to the renamed production Emperor’s New Groove. However by this time the environment at Disney had become very un Disney and moral was very low, although it was improved drastically in the last five years. Pruiksma decided he wouldn’t tolerate this and in 1998 made the tough decision to not resign in 3 years if things didn’t improve (they only got worse.) So in 2001 he shockingly retired at the age of 44 and became one of the first animators to become vocal about the changes that desperately needed to happen to save Disney animation. Dave would eventually do some freelance animation with Disney on Enchanted and the Three Caballeros theme park exhibit. In 2008 Dave Pruiksma decided to take his talents and understanding of quality to animation to Laguna College of Art and Design, where he currently is the classical animation teacher. Like I said before David Pruiksma’s style is very appealing and has many curves in it. Study any of his designs or scenes and you’ll see the expert appeal in work. Other asset Dave has as an animator is his brilliant squash and stretch as well fluid movement. 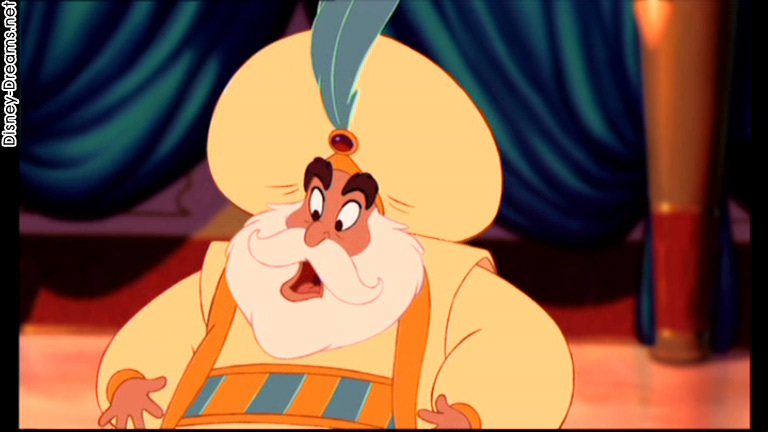 Take a look frame by frame at the scene in Aladdin where the Sultan is talking to Jasmine by the fountain. You’ll notice his lipsync has great squash and stretch and you really feel the flesh moving in the animation. The poses Pruiksma uses are very expressive and work very well in silhouette. The warmth to is very prevalent because you really identify with the sweet Sultan and his concerns for his daughter’s well-being. Another example of his warmth and acting skills is his animation of flounder in Part of Your World. He keeps the animation restrained and has the fish’s expressions reflect his feelings towards Ariel’s desire. You connect with the character because of the sentimentality that Dave has for the character himself. 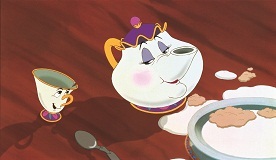 For another good example of David Pruiksma’s squash and stretch check out any scene he did of Mrs. Potts and Chip. I also really like the designs that Pruiksma does. Someone once asked him why he put so much work into Flit’s design and he said that’s what Disney animation is all about. Last character relationships and interactions are one of the animator’s specialties and he is brilliant at doing dialogue scenes. You really feel the character’s emotions in their dialogue and he does a great job at having the other characters reacting. 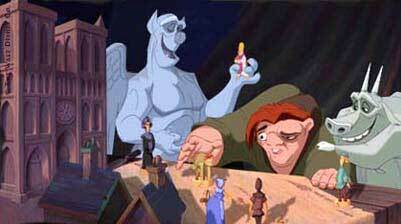 The best example of this is any gargoyle scene Dave animated in Hunchback. As for impact David Pruiksma really helped bring back appeal and top-notch designs to Disney animation. He was one of the first of the new guys to really design characters that are caricatured but still have great sincerity. Until then most of the designs in the new generation were usually either trying to imitate the technique of Milt Kahl or were overly cute to the point of disgust. Animators like Pruiksma really helped change the trend. Also I give a lot of credit to and have a lot of respect for Dave because of he is an advocate of animation done in the quality I love and was one of the first animators to really have the guts to stand up for it. Most of the other animators were afraid to say anything and just did what the executives told them. Also unlike Pruiksma many people think that hand-drawn animation is quality animation alone. However Dave realizes that there is more to this matter than the medium and tools and that it’s better to have high quality CG than mediocre quality, tasteless 2d. I myself do believe in keeping the legacy of hand-drawn animation alive and in keeping the art form alive but I also think that it’s a very shallow way to classify things. In my opinion I feel that the main problem with CG has been that most people haven’t used the master techniques and artistry found in hand-drawn animation even though I see them absent in way too much of the recent 2d stuff I’ve seen. David Pruiksma realizes this and I admire his perspective very much. In regards to inspiration and influence I feel that David Pruiksma has had a profound impact on me. On the artistic side I’m really inspired by his great appeal and understanding of the character relationship. I also look at his stuff a lot when I’m trying to figure out squash and stretch or how to make a design more expressive(although I make sure I always go original in the long run.) On a personal level I’m really influenced by his standing up for quality and artistry in the medium. In the few times I’ve talked to David Pruiksma myself his passion and respect for the medium has been very apparent. He always talks about how he really wants to pass down what the old guys taught him and really continue the great legacy of classical animation. Thank you so much David Pruiksma for your contributions to the art of Disney animation and for being inspirational to so many people. This entry was posted on July 1, 2011 at 3:15 pm and is filed under Uncategorized. You can follow any responses to this entry through the RSS 2.0 feed. You can leave a response, or trackback from your own site.